In February of 2019 WordPress 5.1 officially launched. WordPress 5.1, affectionately known as “Betty” is the first significant update to the world’s most popular CMS since WordPress 5.0 or “Gutenberg” made waves in the web design industry as the first version of the software to feature the block editor. Along with incremental improvements to the new block editor, WordPress 5.1 focuses on a new feature called WordPress Site Health and PHP version notices. WordPress 5.1 offers many improvements that will change the way we use WordPress. Our Toronto WordPress designers always recommend using the latest version of PHP to take advantage of the optimal performance and security benefits baked into PHP 7 and higher. Research has shown that PHP 7.3 offers a small performance improvement over PHP 7.2 of just 9%. However, when comparing PHP 7.3 to PHP 5.6, we can see that the newer PHP version can handle nearly three times as many server-side requests per second. Our Toronto web design firm thoroughly tests WordPress plugins for PHP compatibility within our secure development environment, or on a private staging environment before deploying new websites or software updates to existing websites. WordPress 5.1 now gives credence to this practice with all new tools baked into the core software to flag PHP versions and plugin compatibility. Within the admin dashboard in WordPress 5.1 website administrators now see a PHP compatibility notice if their web server is running an outdated version of PHP. Administrators are prompted to upgrade the PHP version to take advantage of all the security and performance benefits newer versions of PHP have to offer. Chances are if you employ the services of a world-class web host like our friends at WP Engine you’ll never see this new PHP version warning as their platform doesn’t allow the use of outdated PHP versions. Currently the lowest compatible version of PHP allowed by WordPress 5.1 is 5.6, however, with PHP 5.6 reaching its end of life in March of 2019 we suspect that WordPress will update the minimum PHP compatibility requirements to version 7 or higher. In addition to the PHP version notice in the new WordPress admin dashboard, 5.1 also incorporates a new forced PHP compatibility check directly within the plugin and theme installation managers. This seemingly small change within the WordPress admin is a fantastic new tool for website owners and web developers alike. This awesome new tool will prevent incompatible plugins from being installed and potentially wreaking havoc on a healthy website. If a website owner or website developer attempts to install a plugin that is not supported, they are prompted with a notice along with a link to learn more about updating their PHP version. Most WordPress website owners and WordPress developers have experienced the horrid white screen of death at one point or another. 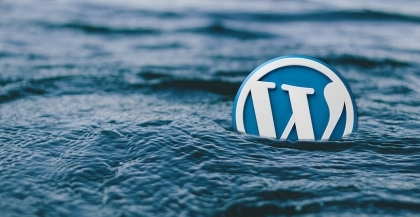 WordPress 5.1 was initially slated to include a new “fatal error protection” feature that would protect WordPress installs from experiencing the white screen of death during PHP updates. The feature was unfortunately held back when 5.1 launched as it contained several critical errors. The good news is that the fatal error protection feature is still in the works and expected to be ready for deployment in WordPress 5.2. What makes the fatal error protection tool invaluable to WordPress developers is its ability to halt an offending plugin installation in its tracks while still allowing web administrators access to the WordPress admin to address the issue. The feature can recognise issues while PHP version upgrades are in progress and display an error message in the web browser prompting administrators to log in to the backend to correct the problem instead of locking them out. With the highly anticipated launch of WordPress 5.0 came the new Gutenberg block editor. 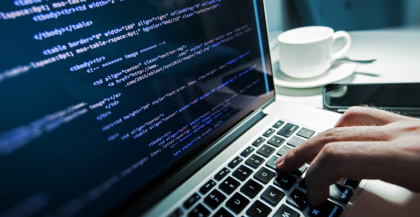 The block editor was reportedly met with mixed reviews in part due to the drastic change in content management practices and user interface design, but also due to the discovery that WordPress 5.0 was performing slower than WordPress 4.9. The WordPress engineers have been hard at work improving the block editor for an upcoming release most likely in WordPress 5.2. Much of the limelight has focused on the new user-centric updates included in WordPress 5.1, but the update also boasts a few new features that are sure to excite WordPress developers as well. WordPress 5.1 includes a brand new database table that can be used to store metadata associated with WordPress multisites. Learn more about this great new feature from the source. WordPress 5.1 now includes all new functions designed to help return data using the Cron API. Developers will also be elated with the inclusion of filters with the ability to modify cron storage. Read more about the Cron API from the makers of WordPress. With the launch of WordPress 5.1, it’s clear that the WordPress team is focusing on building great new features that focus on helping website owners and WordPress developers create and manage healthier WordPress websites. 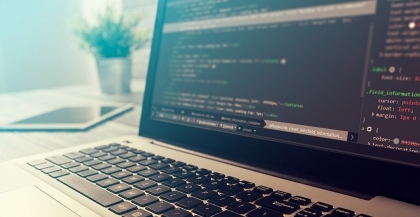 With the emphasis in 5.1 on supporting PHP version health, we expect to see website owners and web hosts push their PHP versions forward to take advantage of the security and performance benefits offered by newer versions of the language. As we learn more about the great new features in 5.1, we begin to get a more transparent look at what’s to come in WordPress 5.2 as WordPress developers build upon the improvements for a more stable and versatile platform. Parachute Design has focused on custom WordPress website design since 2003. To learn more about our extensive website design experience or to learn more about our tried and true six-step web design process, please give our Toronto web designers a call at 416-901-8633. If you are ready for an initial estimate for your website design project, please complete our web design proposal planner.